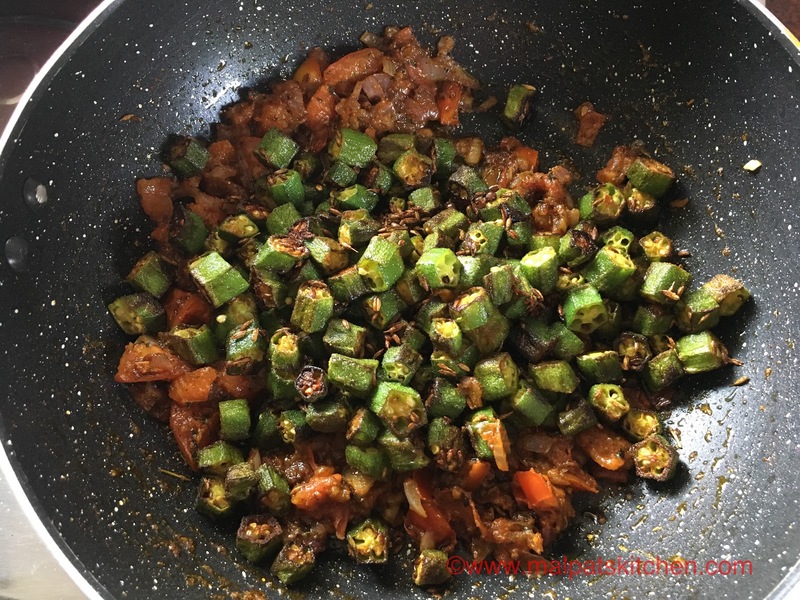 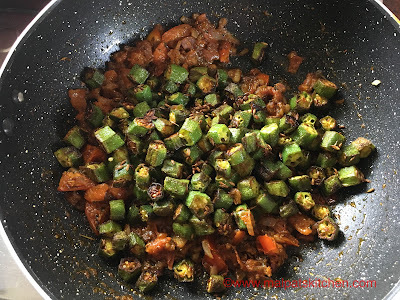 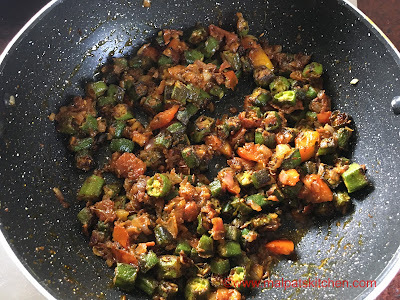 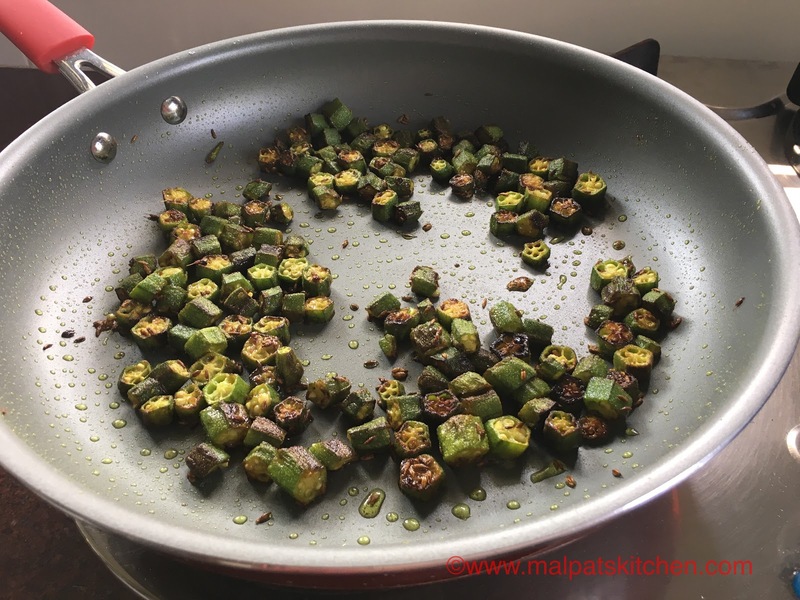 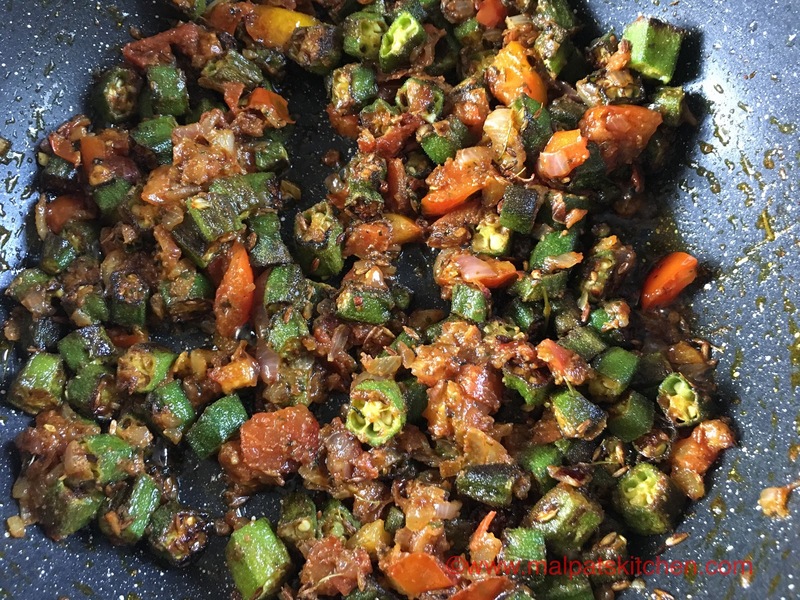 Bhindi/Okra/Vendakkai..however you may call...is replete with fiber, which controls blood sugar levels. 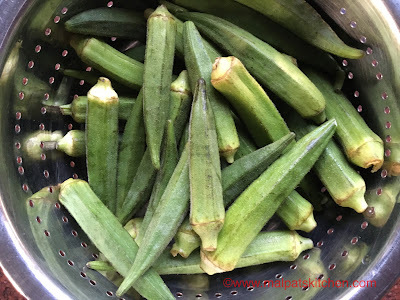 It has good folate contents, full of Vitamin K, which helps in blood-clotting process, prevents and controls asthma, prevents constipation, sun stroke and colon cancer, controls cholesterol level and obesity, prevents kidney diseases and helps digestion, is a very good source of anti oxidants and is also very good for skin and hair. 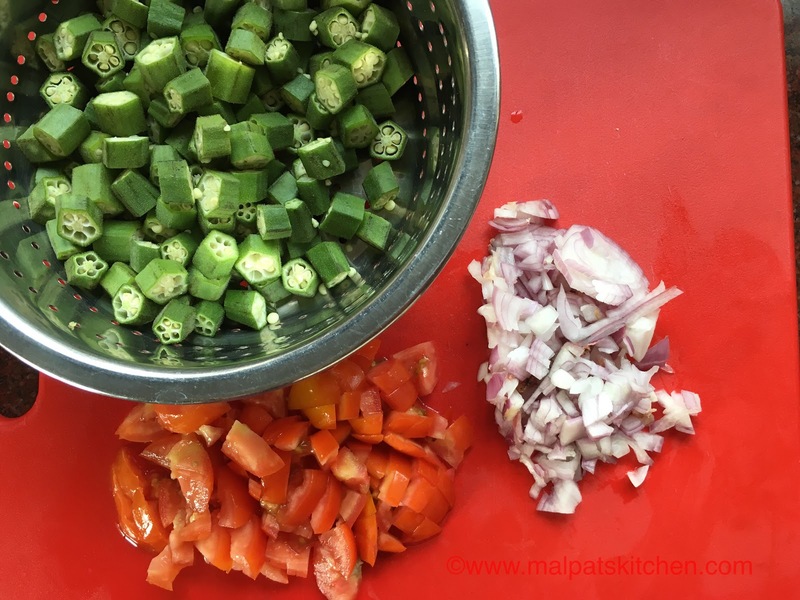 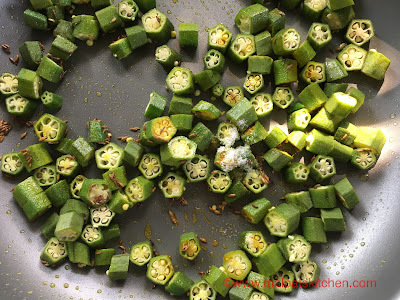 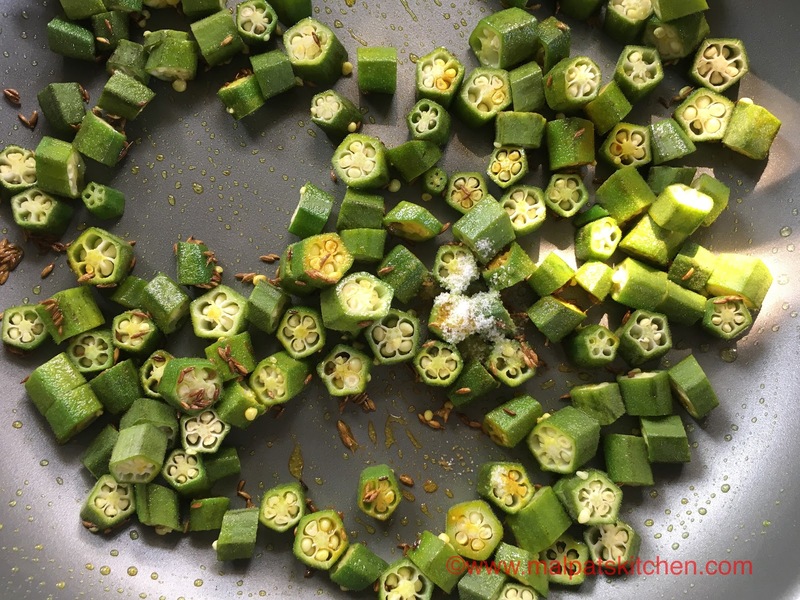 then add the cut okras/bhindis. Flames on the lowest, let the bhindis become golden and crisp. 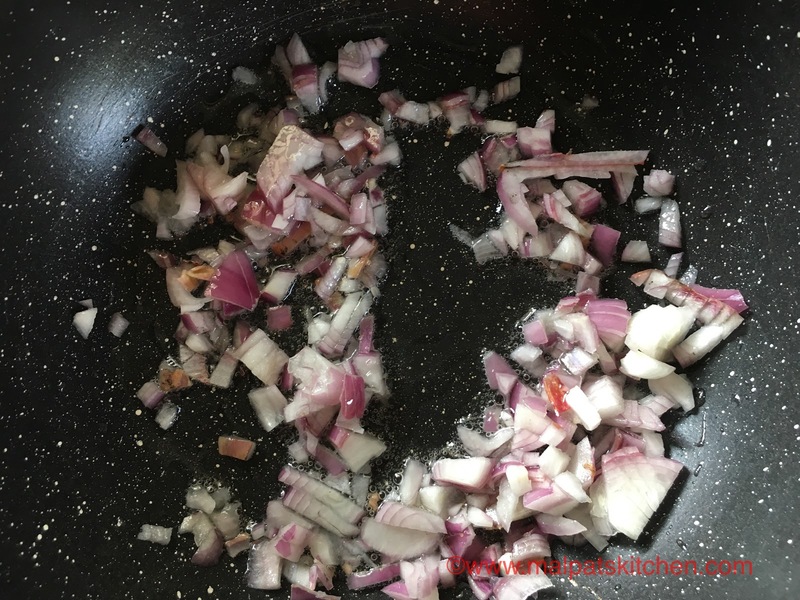 Simultaneously, take another non stick pan, add the rest of the oil and add the onions. By now, the bhindis would have become nice and crispy. 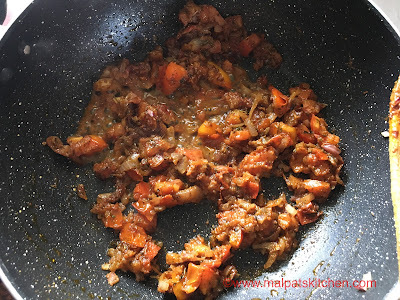 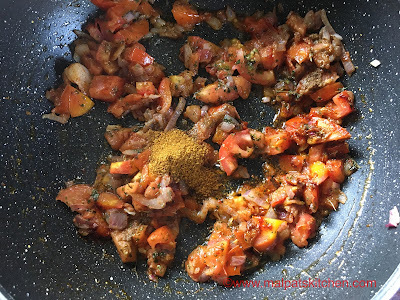 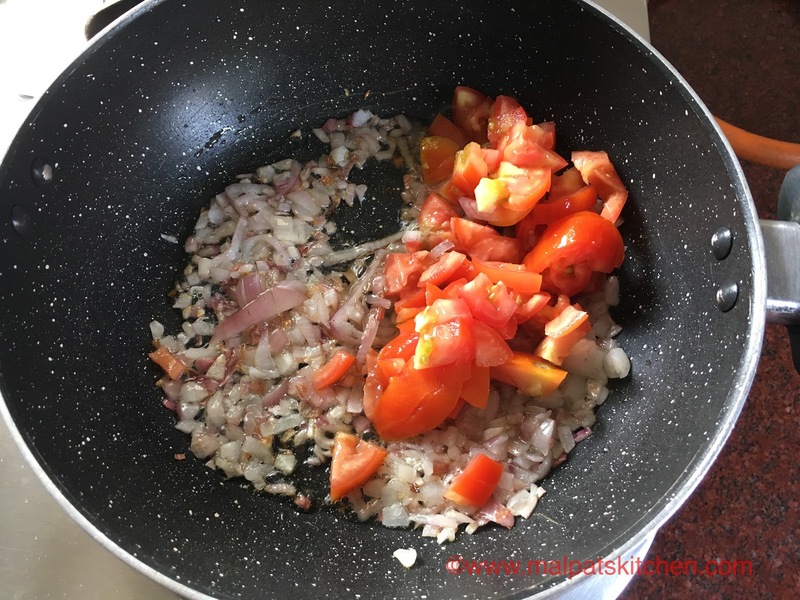 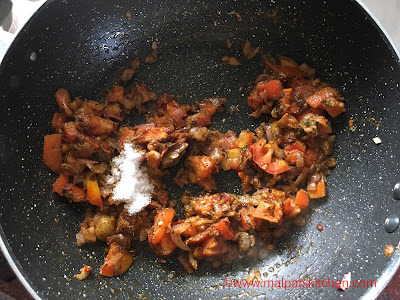 Add the roasted bhindis to the tomato-onion gravy. * I am using Kitchen King Masala for the first time. 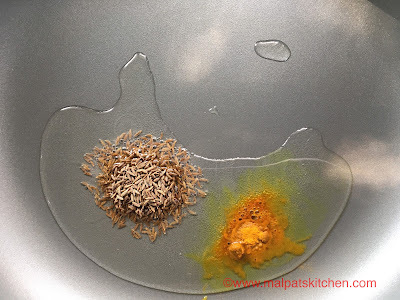 Recently a chef in a restaurant in Shirdi told me about this. 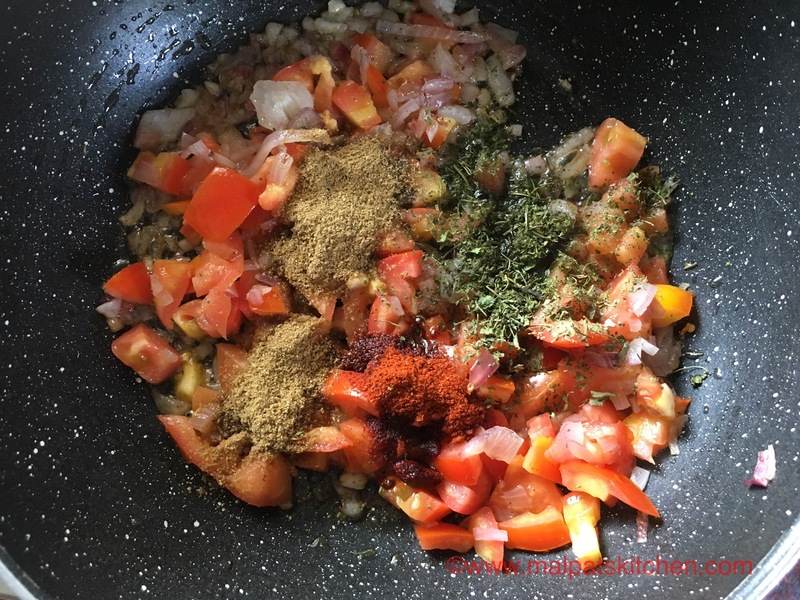 I really like this, and feel, this is more flavorful than garam masala.